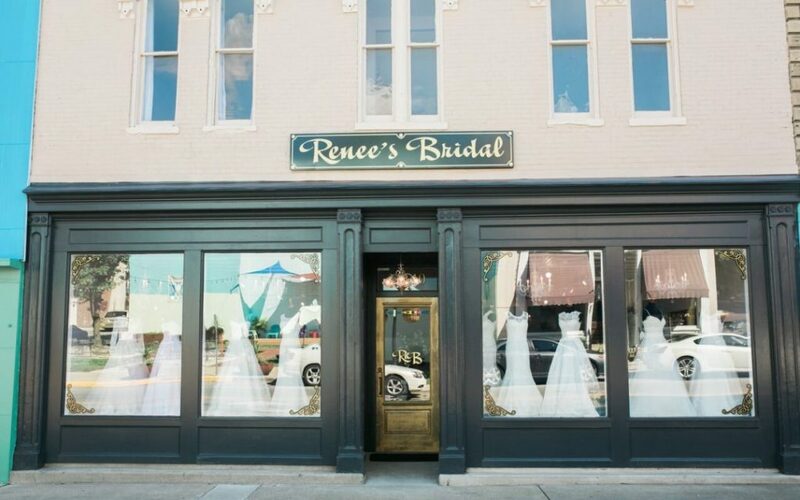 Renee’s Bridal is a gorgeous bridal boutique located in quaint downtown Mt Sterling, KY. 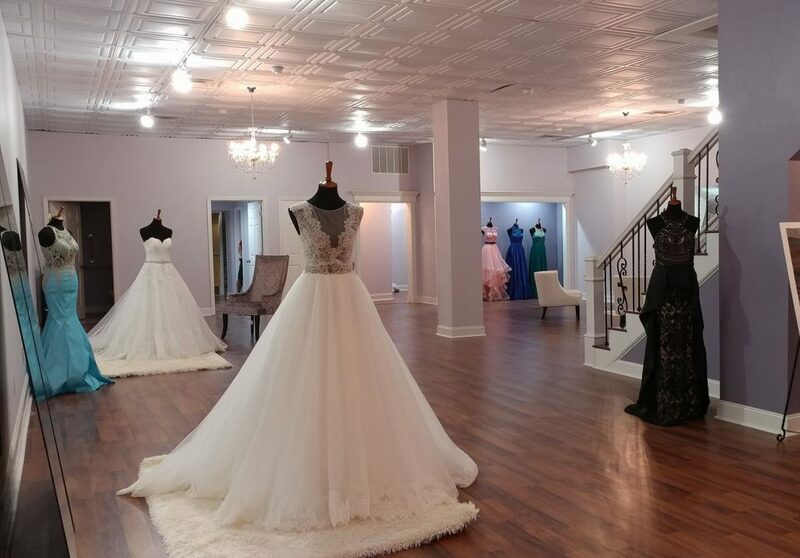 This small town store has gained a worldwide reputation thanks to the design skills of the beautiful proprietress Renee. 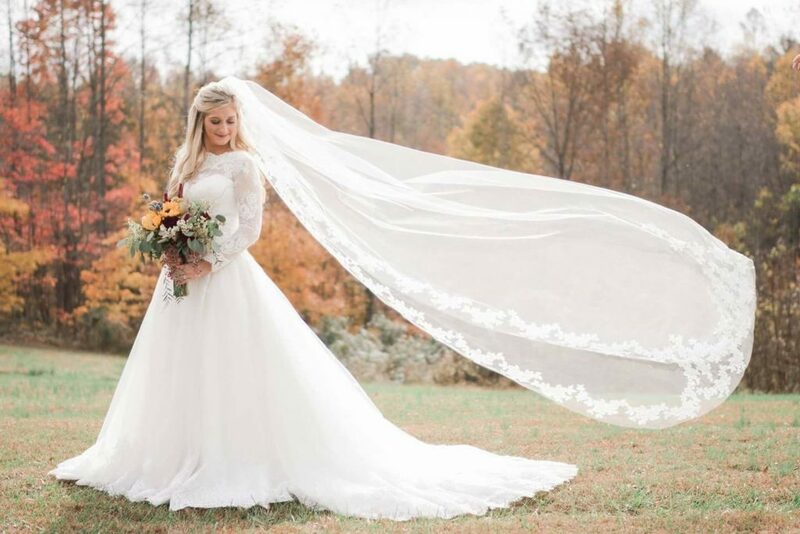 She is famous for all the amazing bridal dresses she creates for famous brides from the Duggar and Bates families. 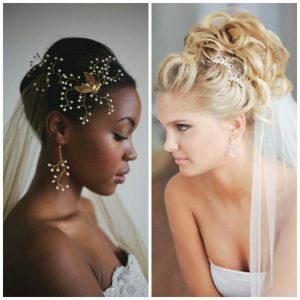 In fact, Renee has been featured on television on networks like TLC several times. 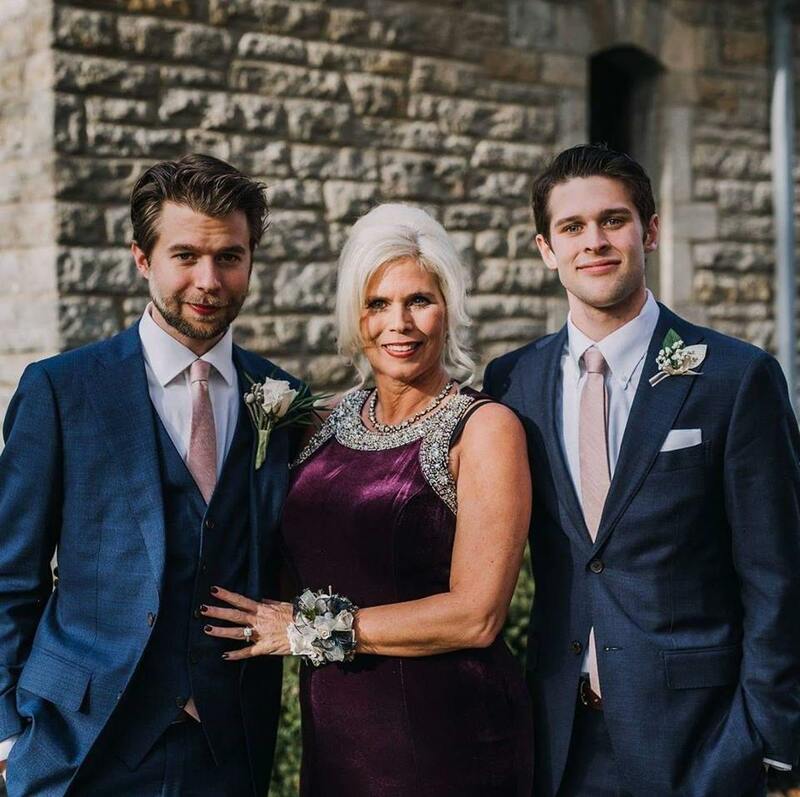 Renee is known for her charm as well as her deep faith, and for her grace and her huge heart. 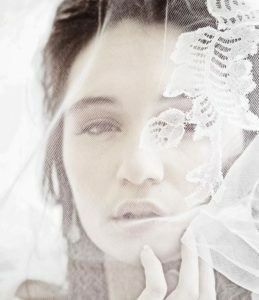 She shares her wonderful qualities with everyone she meets, not just her celebrity clients. 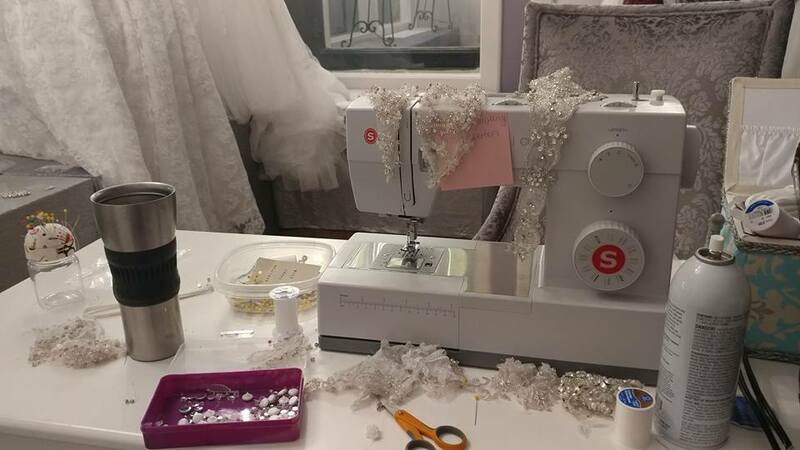 You can tell she loves creating dream dresses and has a passion for all things bridal. 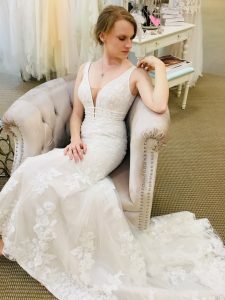 But, on a deeper level, she also loves making connections with her brides whether they are famous or not. 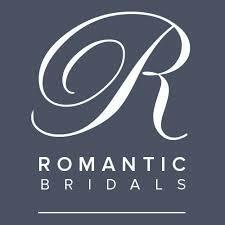 Renee shares her expertise and lovely personality with all her brides. 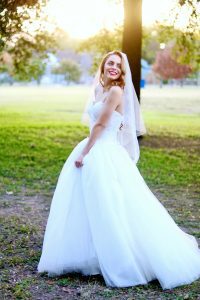 To her, every bride is a star! 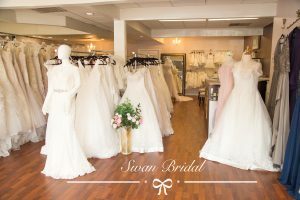 The salon also features a luxurious array of wedding dresses and prom gowns, veils and accessories. 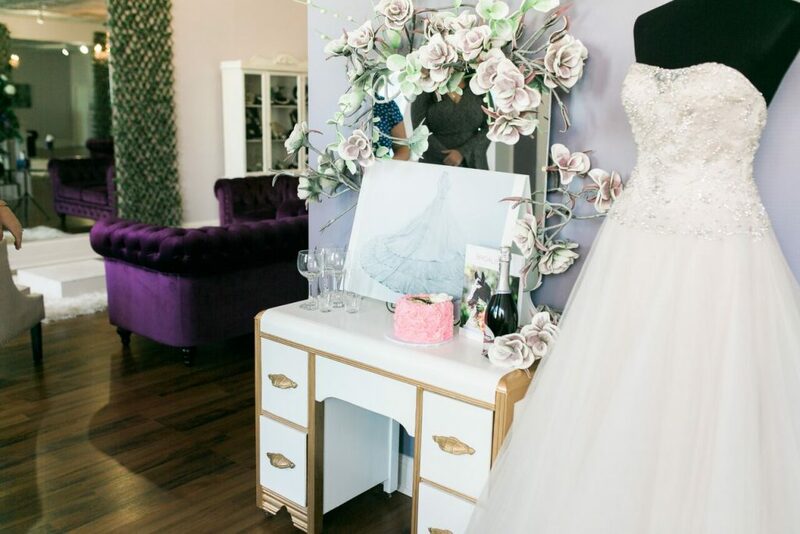 Plus, the eclectic mix of modern furnishings and vintage treasures creates an atmosphere of beauty for brides to feel pampered in. 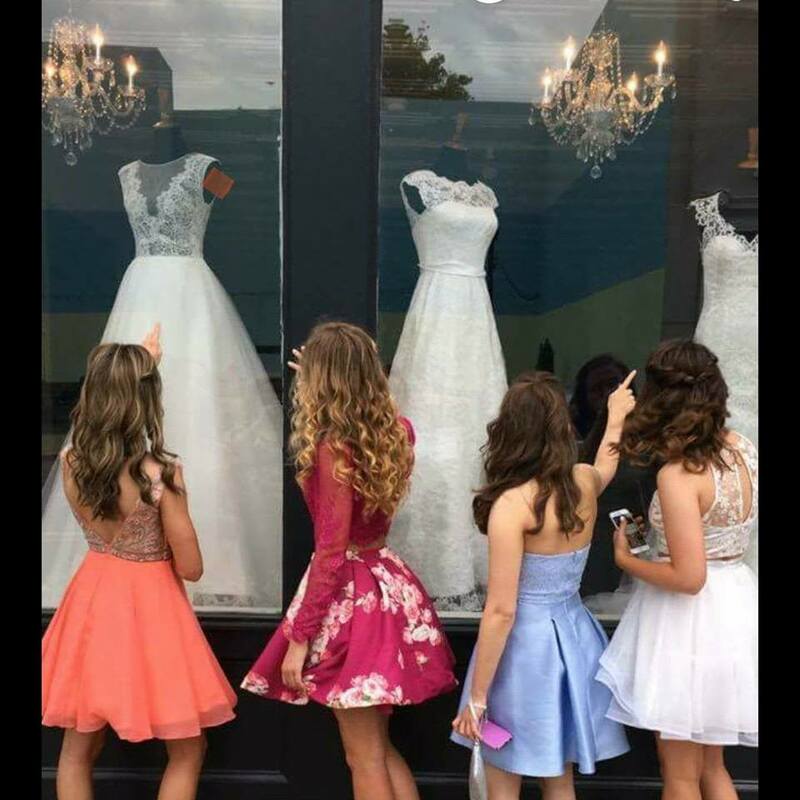 Every little girl dreams of her wedding dress. 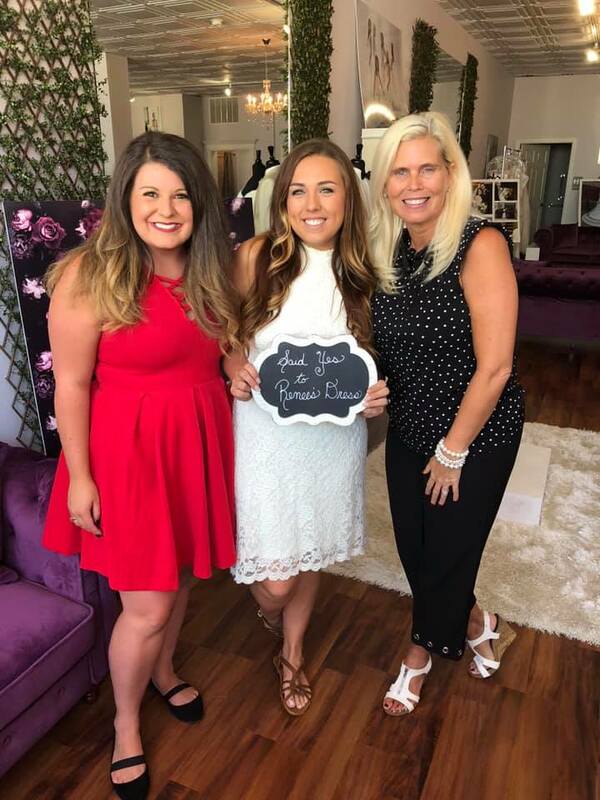 And at Renee’s every little girls’ dreams can come true! 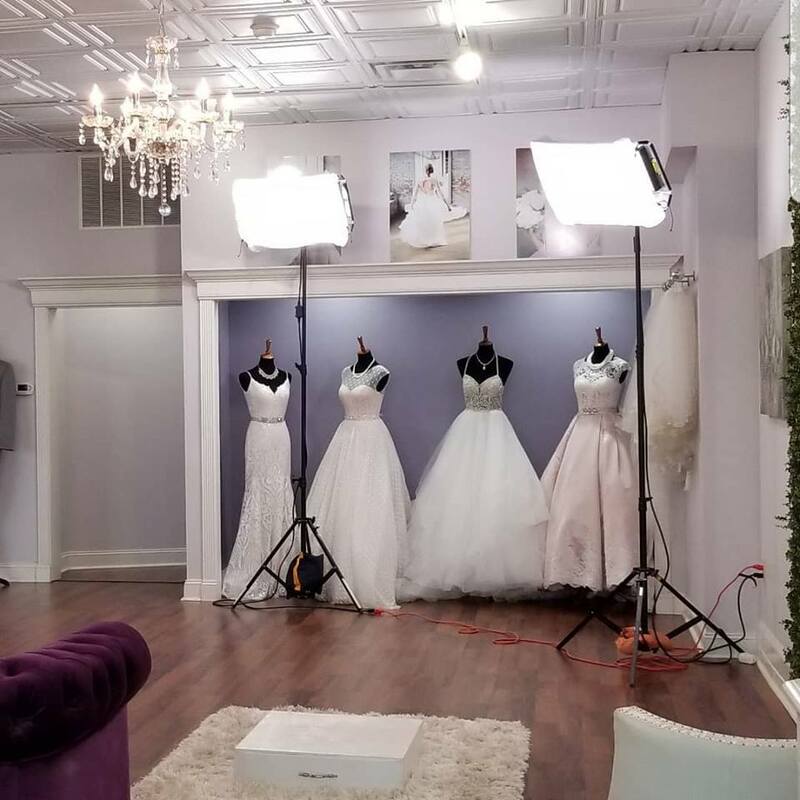 The salon also features spacious fitting rooms and ample room for bridal parties to come and share in the experience. 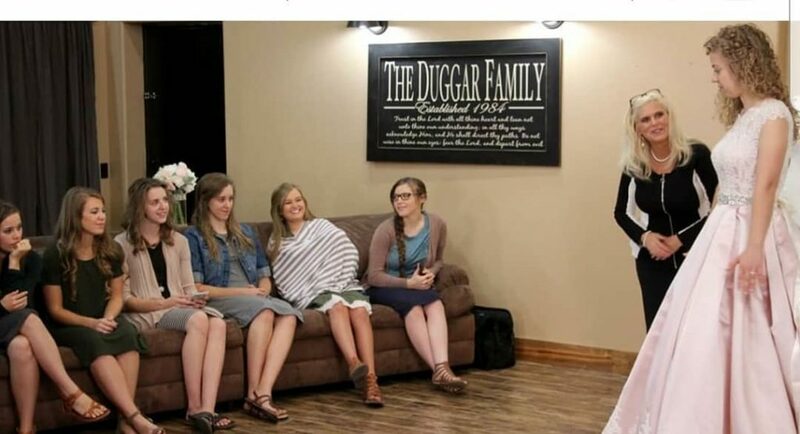 Renee is a respected bridal designer for the Duggar Family brides. 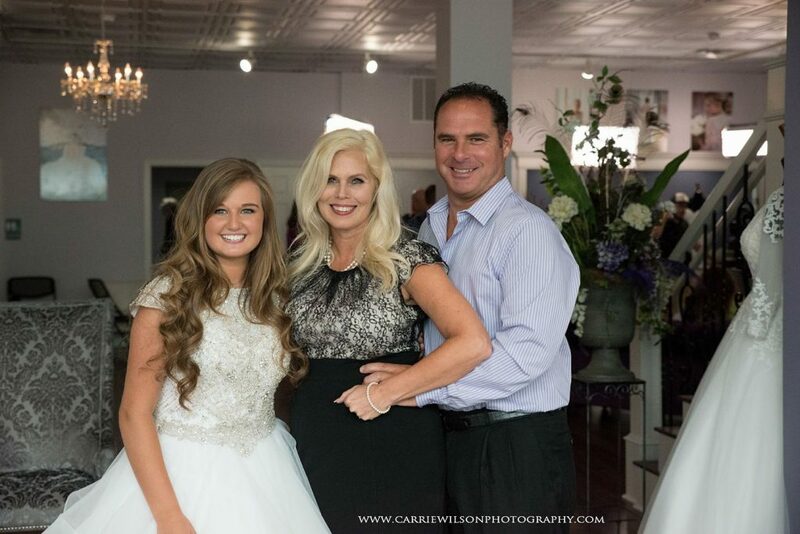 And everywhere she goes, she shares her sweet smile and lights up the room! 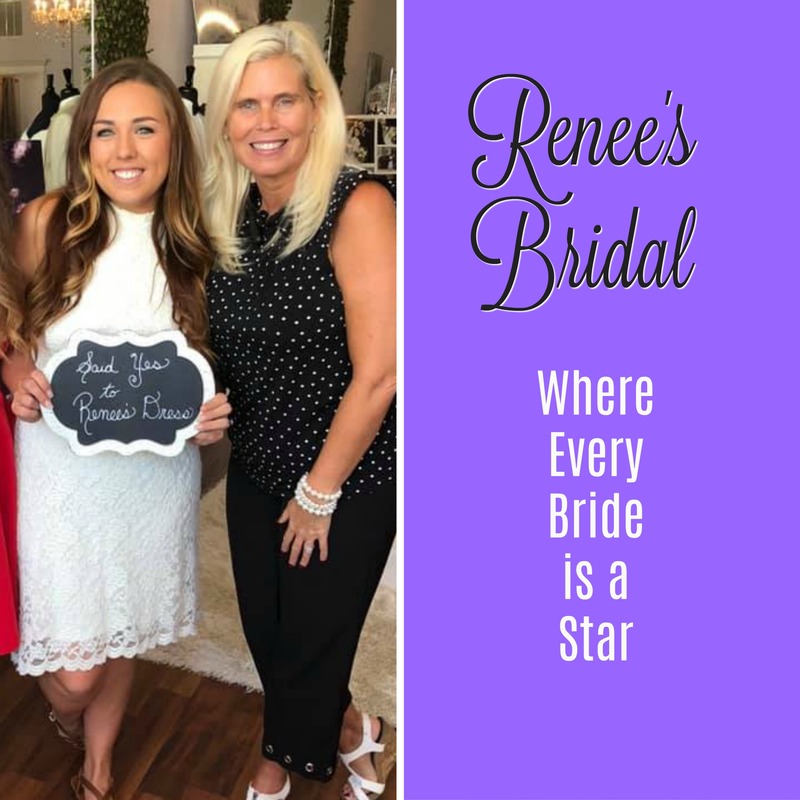 Renee can relate to all the happy brides in her store since she was an ecstatic bride herself recently. 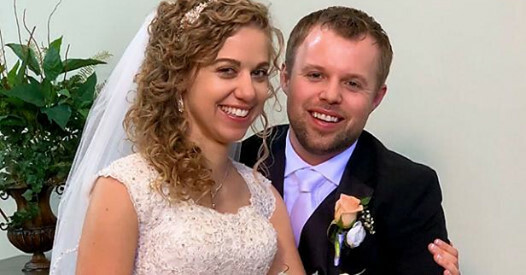 She married her true love Les in a fairytale wedding ceremony. 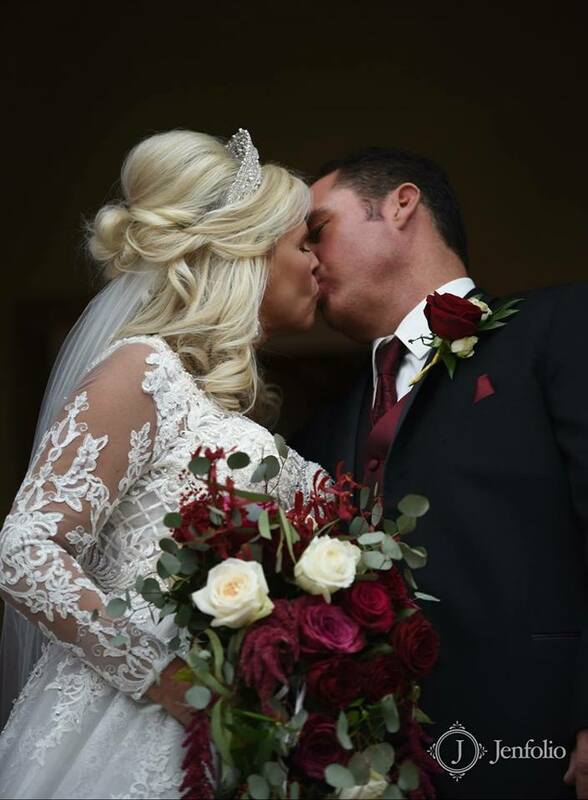 Renee shared her amazing love story on her Instagram page @renees_bridal. 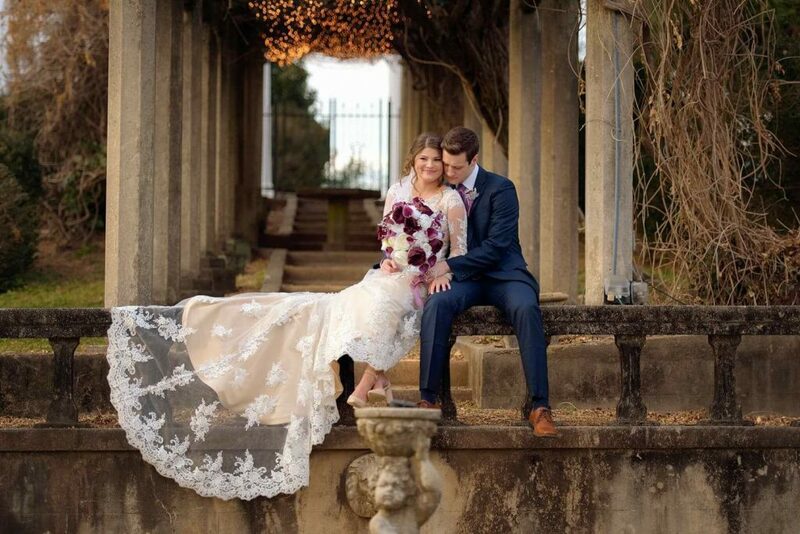 They make a wonderful couple! 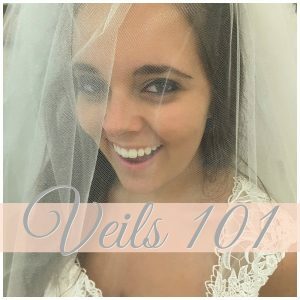 Catch up with Renee on her new podcast “Talk with Miss Renee.” Her Podcast Pilot is now live on Facebook! 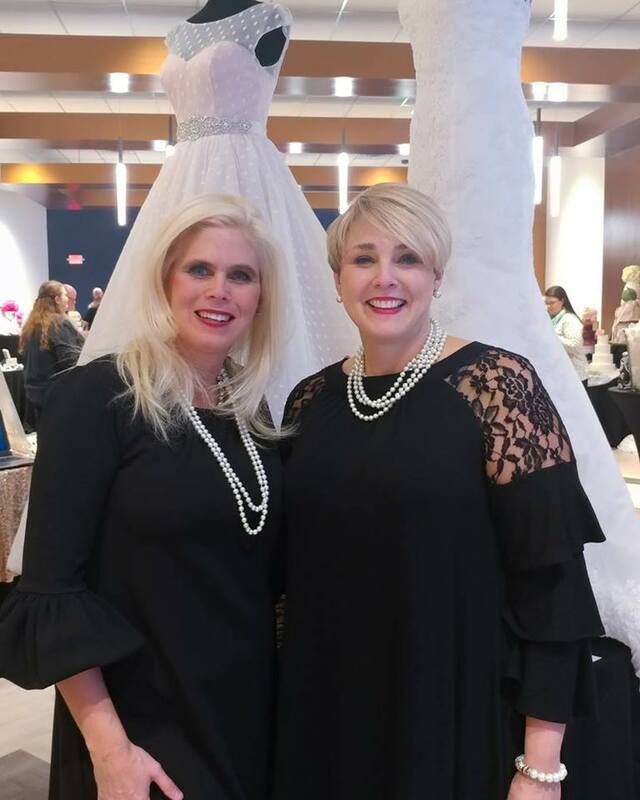 Listen in to find out all you want to know about #MissRenees Brides and The Love Story behind Their Day!